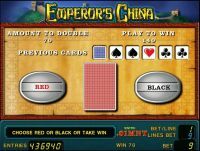 Scale the Giant Wall to discover the Emperor’s China™! 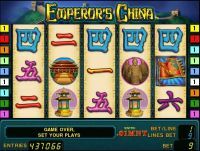 Xian’s terracotta warriors, ancient temples and beautiful artifacts will make this journey an unique gaming experience. Look out for the flag – it will show you the way to hidden treasures and wealth. 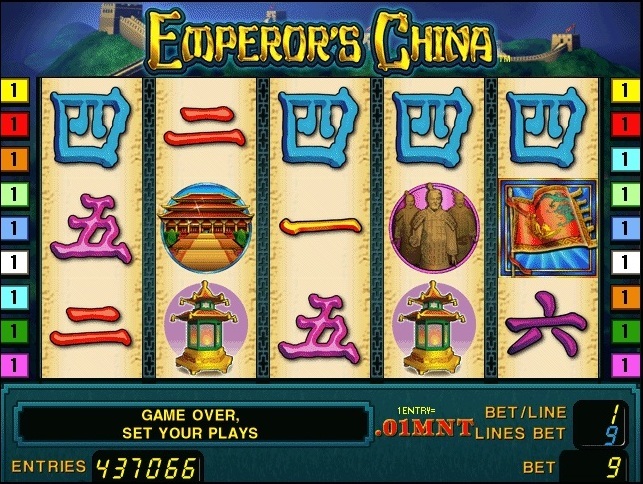 EMPEROR substitutes for all symbols except FLAG (Scatter) and doubles prizes when substituting. 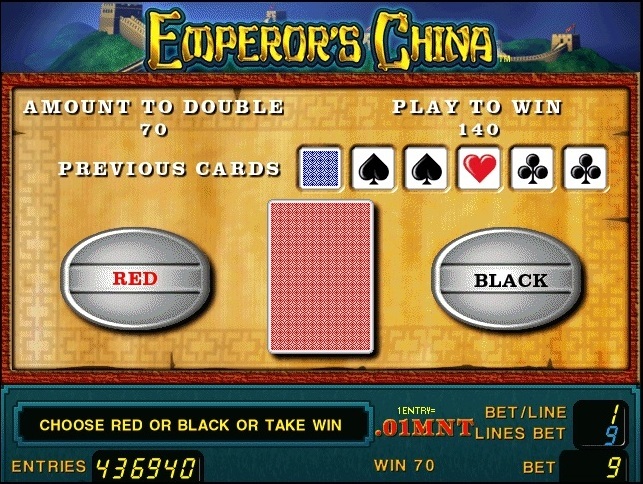 3, 4 or 5 scattered FLAGS trigger 15 free games with all wins multiplied by 3. Free games can be won again during the feature and are played at current bet!